Mary trained as a dental assistant and graduated from Jefferson State Vocational School. She also performed an internship in Dental Radiology at the University of Louisville before starting to work with Dr. Mark Schulte in 1987. Mary has worked with Dr. Carol Muth since she joined the practice. Mary always has a smile on her face and her laugh will bring a smile to yours. She loves caring for her patients, especially children, and keeps the "Treasure Chest" stocked to reward the good little boys and girls who come to the dentist. Mary has a son, Chris, who is the proud father of Mary's grandson Aiden. Lynn graduated from the University of Louisville dental assisting program in May 1985. She is certified by the Kentucky Board of Dentistry for coronal polishing and is an Expanded Duties Dental Assistant (EDDA). Lynn came to our office with Dr. Baughman in March of 2007. She loves making a difference in people's lives by improving their smile. Lynn has worked in several offices in Louisville and has learned many skills and techniques from each dentist. She has worked the front office, dealing with scheduling, insurance and all the demands of the front desk but her favorite place is working chairside with each patient. Her goal is to make your dental experience as pleasant as possible. Lynn has been married to her husband, Kevin, since 1984. They have two spectacular daughters, Emily and Alyssa and two sweet grandchildren! 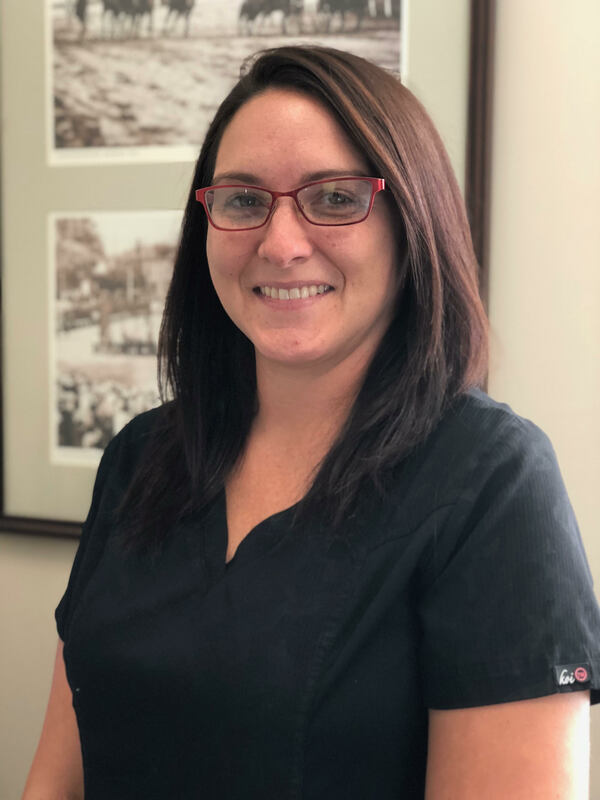 Kennedy has been with Schulte Family Dentistry since after her externship at our office in 2015. She trained as a Dental Assistant at Medquest, graduating in May 2015. Kennedy enjoys being around her co works and patients. She also loves haunted houses and Halloween is her favorite time of the year! She is currently a part time college student at JCTC working towards becoming a Dental Hygienist. Kennedy and Brianna keep our office laughing with their humor! Rachel is a 2017 graduate of ATA Career College. In addition to working at our office you can find her working at the Kroger Pharmacy. She is also a full time student at JCTC for Dental Hygiene! Rachel graduated from Doss High School in 2014. She enjoys seeing patients walk out of our office excited about their new smile! Besides working and studying, Rachel enjoys spending time with her family, friends, and her puppy Nova! 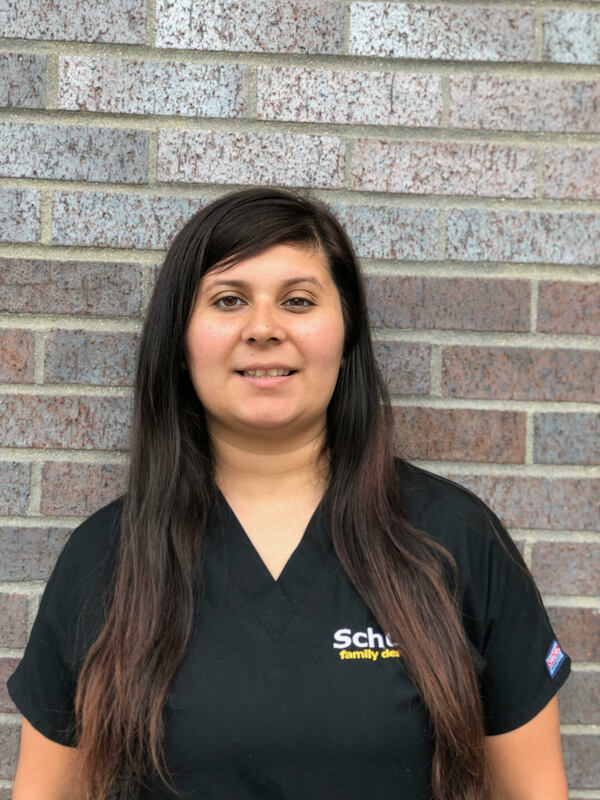 Sarai completed her assisting internship in our office and is now part of Schulte Family Dentistry. She and her husband have a daughter, Natalee. She is a great addition to our office and she loves her job! 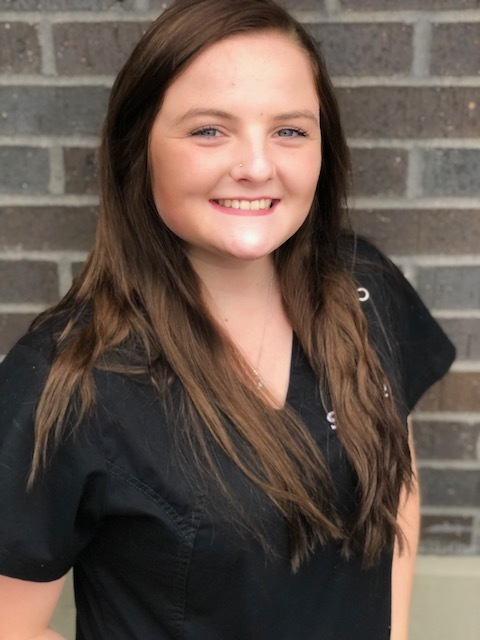 Leah joined Schulte Family Dentistry in March 2018. She has over 10 years experience as an Extended Duty Dental Assistant. She cares about her patients very much and loves seeing them smile!